Many years ago in a move I’m very proud of him for my dad worked with some useful people and organised the dredging of Lochrin Basin at the end of the union canal in Edinburgh. That then became the home of Forth Canoe club for twenty years during which time hundreds of people were introduced to this fun sport and we made world champion paddlers and Olympiads. 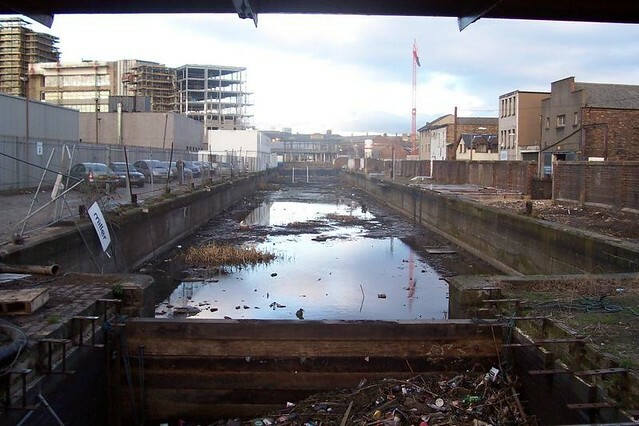 After 20 years the rest of the world caught up to the idea that canal regeneration might be a nice idea which would improve the space people live and play in and the millenium project dredged the canal from Edinburgh to Glasgow. To pay for this British Waterways kicked Forth Canoe Club out of its buildings and replaced one of the best community assets in Edinburgh with tall ugly buildings. Forth CC’s buildings bulldozed and tall soulless buildings bring constructed. BW gave Forth a shed further along the canal at Harrison Park. It’s very picturesque but it’s 1/5th the size we had before and incredibly they built a wall in the middle of the building along its length to take away a further 2/5ths of that building. No explanation was given for it but it might have been a walkway to let narrow boaters walk through or it might have been because the wall behind the building was collapsing and BW didn’t want the hassle of fixing it. Back in 2011 (I think) the city council had a couple of employees who organised a meeting about a canal strategy. It’s the sort of well meaning but mostly unhelpful exercise. The one ended up with an over-designed PDF that is was large to put on their CMS for several weeks and is now too large for me to want to download and read through. The consultation was limited to a few meetings which were not well advertised and didn’t use any modern tools like web forums to allow a longer discussion to happen. Ultimately there’s no money for anything so any nice ideas that did come out of it didn’t happen. Anyway at this meeting I did manage to ask staff of what was to become a rebranded and devolved quango Scottish Canals whyever they blocked off two fifths of our boathouse. They came and looked at the boathouse and wondered themselves whyever this happened, clearly whatever original purpose the internal wall had was long since forgotten as civil service office staff move around. A further meeting happened where I was given keys to the corridor but it turned out it was being used as a storage dump by our next door neighbour. We could share the space the civil servants suggested. I spent the next few months doing up the corridor around the neighbour’s old rowing boat. I was told off for moving the rowing boat out of the corridor even though I needed to do this to fix the damage that had been caused by Scottish Canals’ neglect. One day a lease arrived without warning or explanation in the post. Someone in Scottish Canals had presumably worked out they should support a nice community group making use of the canal not a neighbour who didn’t. A victory. But the building is still too small to do what we used to do. So for the second time Forth had the prospect of having its buildings bulldozed, quite galling considering what we have done to bring life to the area. I told them we were not going to move out of the city centre and told the “canal champion” Tim McKay the same and the idea of barges at Harrison Park was quietly dropped. In February 2012 I went to a meeting of a new community group. The old brewery at Fountainbridge had been sold to the Bank of Scotland to make a soulless headquarters but the financial crash stopped that happening and a large brownfield site was then bought by the City Council for a new buliding for Boroughmuir school. The Fountainbridge Canalside Initiative was a group of people who thought they should come up with ideas for what to build on the rest of the land before developers come along with more soulless ideas. I noticed a plot at one end of the site which seemed to be going spare, I wondered if it would be suitable for a new boathouse for Forth which would give us the space we badly needed. So I set about searching for politicians to help find out if it was a good idea. Lib Dem councillor Jim Lowrie invited me into his plush office in the City Chambers in the High Street and seemed very interested in the idea. He said to give him a couple weeks and he’d set up a meeting with the relevant civil servants. This guy was the planning convener as well as councillor for Fountainbridge so he should know about the plot. Weeks went by and e-mails I sent went unanswered. Then an election was on and his leaflets included that he had canal improvements on track including “new premises for Forth Canoe Club”. Except he was the one blocking any progress by not organising the meeting he had promised me. I think the real reason for the downfall of the Lib Dems isn’t Nick Clegg but is Jim Lowrie, the other points mentioned on this leaflet weren’t true either. Jim Lowrie lies about helping Forth Canoe Club. A Google search for his name says “Some results may have been removed under data protection law in Europe” which makes me wonder what else he is hiding. After the election there was a new bunch of councillors to deal with. But councillors have surgeries where they sit around in a library for an hour hoping someone turns up. If someone does it’s usually somebody moaning about life. They’re usually very happy to have someone turn up who had a helpful and realistic idea. Except for some reason the councillors with the weird title of “canal champion”. 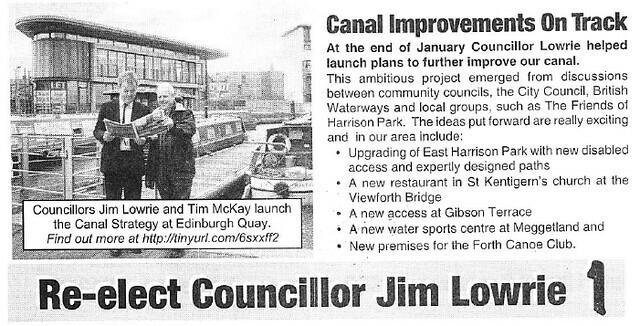 Tim McKey is in the election leaflet above and when I went to see him he kept saying I should go back to my local councillor, but I’m sure Scottish Canals don’t have to go to their local councillor. I went to see Gordon Munro who got the title after the election but he had a ward in Leith many miles away from the canal and only said he “believed he had that remit” which seems like a failed setup by someone. However Andrew Burns is my local councillor and also leader of the council. He did organise a meeting with the relevant civil servants from sports and the education department who owned the land. At the meeting the education dept said they were going to build part of the school on the land and were puzzled why we thought we could use it. They said there might be scope to get the building designed with a canoe club in it if we paid millions of pounds for the privilege. There was no consideration that the school, despite being 1.5 hectares under the regulation size and wouldn’t have enough space for decent sports facilities would want to use the obvious facility on their doorstep, the canal. Lesson being: politicians talk the talk but for results get to the civil servants fast to work out what’s really going on. So the end of that idea. Or was it? 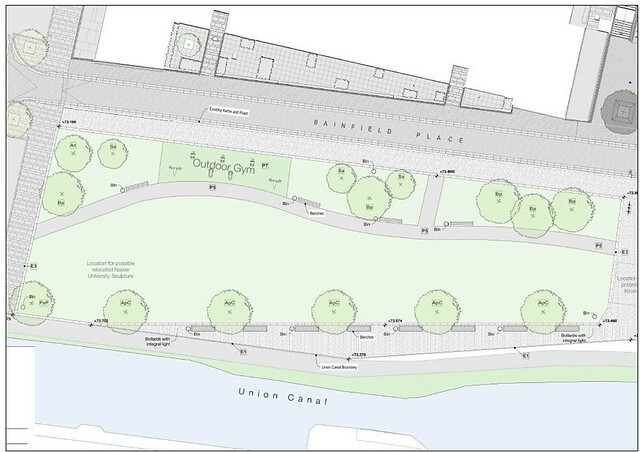 By 2013 there was a meeting set up called the Canal Sounding Board to discuss plans for the old brewery site at Fountainbridge which had land-owners, Scottish Canals, the local community group Fountainbridge Canalside Initiative, politicians and civil servants there. The plans for the school had changed and the plot was no longer going to be used for a school building. Could Forth get a building on there instead? I sounded out some councillors and it seemed a possibility with initial plans for the school now showing a pavilion building on the land I had in mind. Some queried where the money would come from and I said I hadn’t thought about it since I didn’t even know if the idea was at all possible but we had a track record of getting grants. There was a consultation on plans for the school and parents who were in the club pointed out that using the canal as a sports facility seemed the obvious thing to do on a site short of sports facilities. At the next sounding board meeting the plans for the school were revealed. They included an enlarged playground with a garden area in it. To compensate the proposed pavilion building in the public park was taken away. The desire to support canoeing at the school was not relevant as it wasn’t on the syllabus said the plan. Which brought an end to the idea. It wasn’t a perfect idea anyway, the canal there is too narrow (although it also narrows on our current site) and it’s on the other side so the towpath would be in the way. And it would have been a lot of work to fundraise and build the building so I wasn’t interested unless all the pieces fell into place. Here it was just ignored by the people who could have made it happen, the education department. It’s a small site and they have lots of competing demands just to get the school built but it’s a shame the government’s desire for active schools is ignored here. The new Park, no space for a boathouse but somehow an outdoor gym came on the plans, why do civil servants come up with random ideas and not listen to the ones people want?